There has been a marked increase in smart products over the past few years, and at no point has this been made more obvious than at the Consumer Electronics Show in Las Vegas last week. As well as the usual spate of announcements and keynotes from the major brands, many fascinating products were on display, with a deluge of smart home products taking center stage. Frequent travelers, meanwhile, tend to rely on the power of their smartphones for checking in, processing boarding passes and generally getting around with ease, but a new smart suitcase by the name of Pluggage could make the generally cumbersome task of dragging around, locating and retrieving our belongings a whole lot easier. 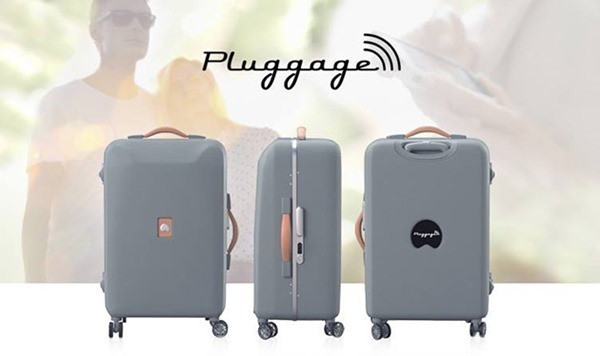 Created by Delsey, Pluggage is essentially luggage handling 2.0, offering a vast array of cool features that help to alleviate the stresses of travel. Unfortunately, aside from not having been created yet, Delsey won’t be adding each and every one of the ingenious smart aspects that have been drafted into something of a shortlist, which is a bit of a shame when you look at what’s being proposed. 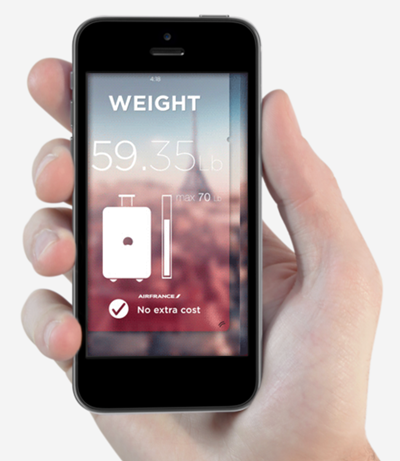 For example, there’s an Auto-weight feature that tells you precisely how much your bag weighs, which is immensely useful when trying to dodge the extortionate add-ons for extra bulk. Airports have long benefited from the hustle of charging whatever they like per unit of additional weight, which can often add a significant expense to a holiday, but with Pluggage, you won’t be met with any nasty surprises. You can charge your device using the Instant Battery Reload feature, and with Onboard Detection, you’ll know whether your MIA Pluggage suitcase is actually on board a plane via the companion app. Other features include an Inside Lighting System, Fingerprint Lock that secures both app and suitcase, and a further Check Lock that can tell if somebody’s been into your Pluggage luggage. There’s nothing worse than finding that your suitcase has possibly been tampered with, so this is an excellent feature that should help to bring peace of mind. 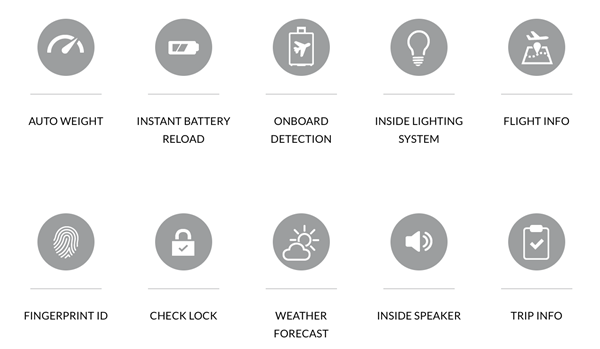 There’s an Inside Speaker option, which is great for those instances when you enter your hotel and want to listen to a touch of Bach, and with weather and trip info, Pluggage is the complete package. As aforementioned, you can take your pick from this mixed bag of features, although not all will make the cut. Seems like a missed opportunity, in my opinion, for a suitcase cramming everything in could be a very attractive, marketable product to those prone to switch locations. Which features would you like to see make the cut? Share your thoughts with us below! Head over to delseypluggage.com for more details.